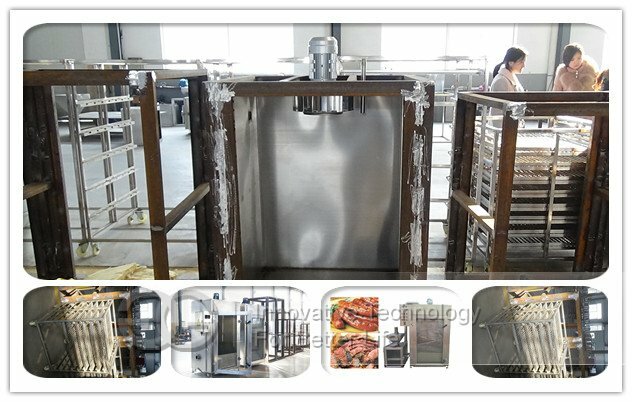 Smoke oven is used to cook, dry, bake, smoke and color food, including meats, sausage, jerky, poultry,vegetables etc, aiming to make food dehydrate and have special flavor. 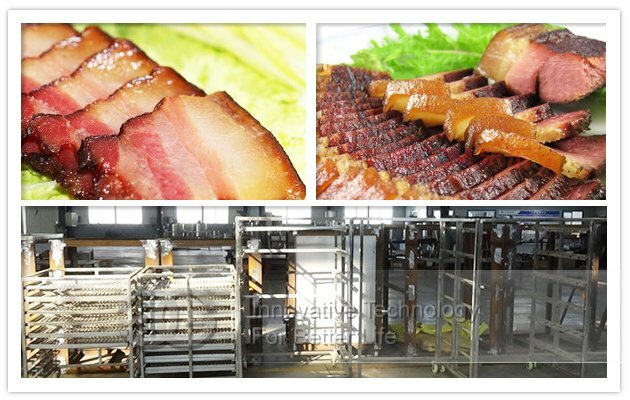 Smoke oven is used to cook, dry, bake, smoke and color food, meats, sausage, jerky, poultry, wild game, seafood, etc, aiming to make food dehydrate and have special flavor. 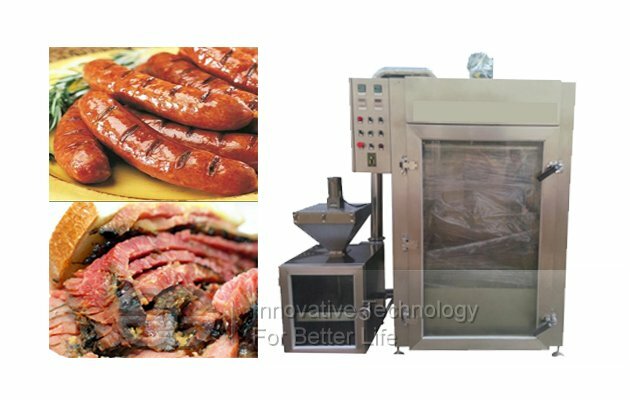 GELGOOG smoke ovens have been specially designed to provide small to medium businesses with equipment to suit their food smoking requirements. 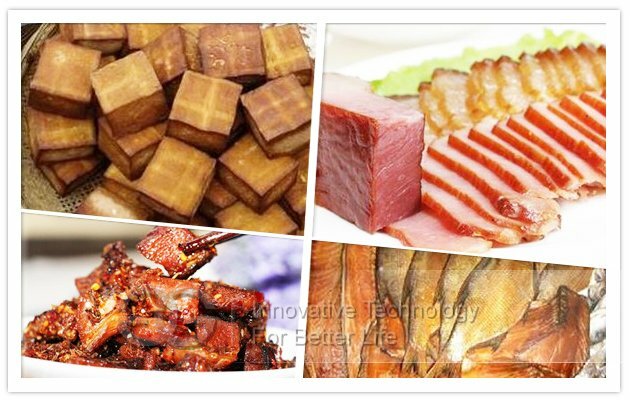 Products include smallgoods, fish, poultry, roast meat, vegetables, pies and dried food. 2.Three kinds of smoking methods: Cold smoking, warm smoking, hot smoking. 3.Large windows made by special explosion-proof membrane. You can have clear observation of the furnace process and can timely exclude sudden accident, being safe and reliable. 4.Different heating methods: Steam heating or electric heating. 5.Independent smoke path. Both sides of the furnace have independent smoke path. The upper part has gas exhaust port and smoke exhaust. Steam convection is set on flank. 6.Two kinds of structure. 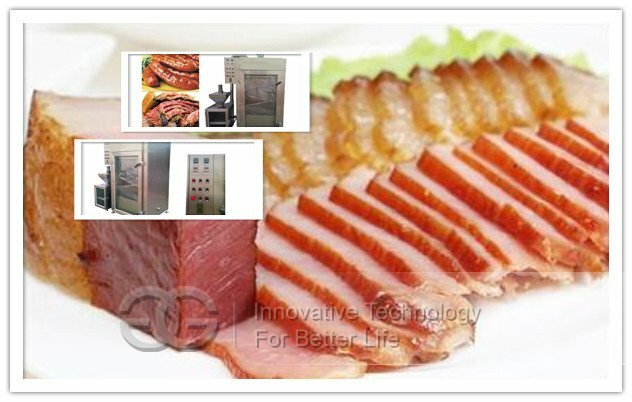 According to the structure, built-smoked furnace and external smoked furnace are included.